Gladie and Spencer are finally married. After they’re gifted a honeymoon cruise, they’re on their way into international waters. But the ship is less than luxurious, and the ship’s crew isn’t what they seem. When Gladie stumbles on a dead body, the newlyweds are thrust into a life-or-death mystery. Gladie’s “gift” could come in handy to find the killer, but she might find herself overboard before justice is served. 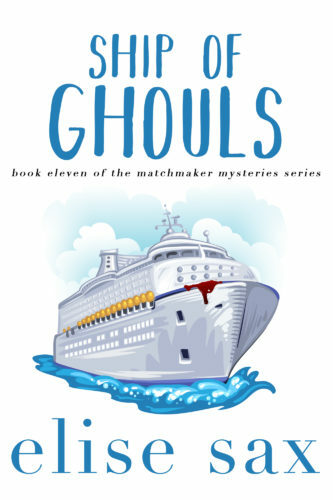 “Ship of Ghouls” is the 11th installment of the Matchmaker Mysteries series. It is a novella. Matchmaker…sometimes love comes with some dead ends.